Chris Johnston is the senior games producer for Adult Swim. 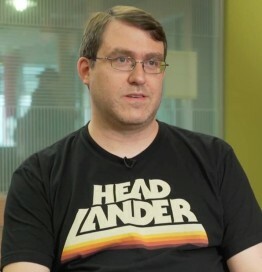 Since 2008, Mr. Johnston has been producer for all iOS and Android versions of Adult Swim’s Games 20+ titles including the Robot Unicorn Attack franchise, Monsters Ate My Condo, Amateur Surgeon, Giant Boulder of Death and Castle Doombad. If that weren’t enough, since 2006 Johnston has also co-hosted and produced the Player One Podcast for over 475 weekly episodes.